New compensated Tele saddles available in 5/16” or ¼” diameter offers all the twang and snap you've come to love but with accurate intonation and reduced string noise. Pictured with one of A.M.P. 's many available t-style bridges. New products for 2017 include a variety of locking components. 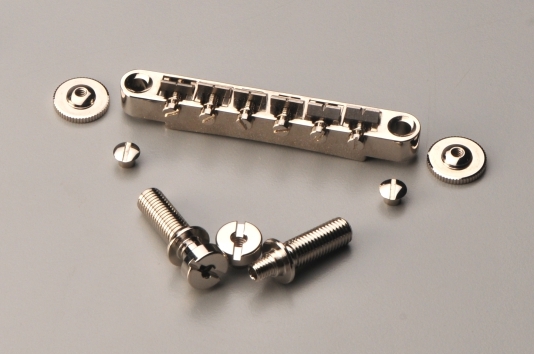 The locking Tune-O-Matic style bridge locks with specially designed bridge posts which not only locks but centers the bridge perfectly and will give your guitar a singing property with single note authority. ADVANCED MUSIC PRODUCTS offers both vintage inspired and innovative guitar hardware which will improve tone and playability while not deviating from traditional aspects. 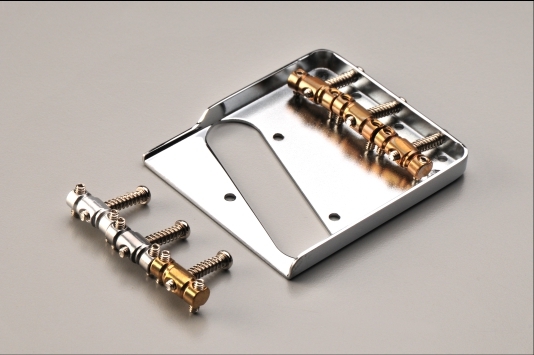 The locking ABR-1 style bridge locks with specially designed thumbwheel and cap is able to be used with existing ABR-1 bridge posts. 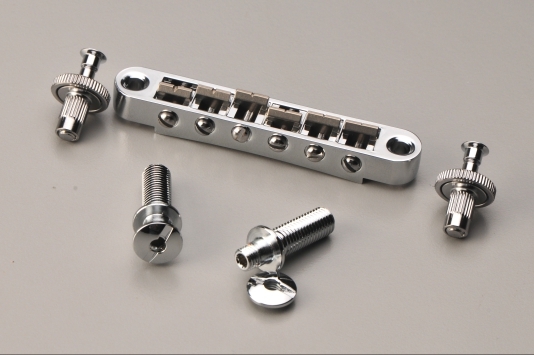 Locking Tailpiece Studs round out the locking components with 2 varieties of high strength locking force.